Can cats' eyes, brain chemistry, behavior, and even spay/neuter practices allow them access to realms beyond our perception? We investigate. It’s a question that has clawed at the back of our minds since humanity’s earliest experiences with cats: Can cats see ghosts? Cats live with us, but we really don’t understand them. They act strangely and unaccountably. They keep different hours than we do; they see the world differently. Is it possible that cats can see, sense, or even communicate with beings beyond the veil of the physical world? I’ve reviewed the literature — scientific, philosophical, and mystical — to try and get a more comprehensive perspective on a question that has pricked at people’s minds from the earliest times. 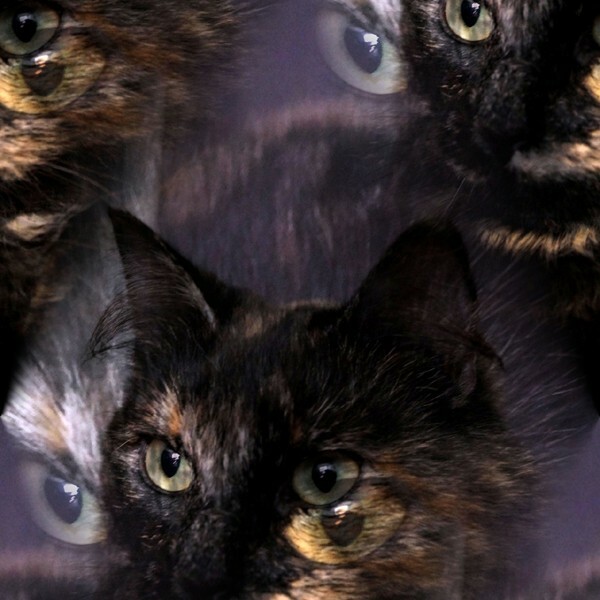 Do cats have extrasensory perception? Is it possible that cats have access to the realms beyond human understanding? Is the Rainbow Bridge less of a metaphorical construct and more a metaphysical reality? As long as humans have cohabitated with cats, you’d think by this time we’d know pretty much everything about them. We know, for instance, that cats have incredibly powerful eyes. They have a wider field of vision than humans, a third eyelid to protect and keep their eyes moist, and excellent night vision. One limitation is that, while cats do see in color, their eyes pick up fewer colors and less brilliant ones than humans. What they sacrifice in color range, cats may make up for on a light spectrum that humans don’t have access to without the aid of technology. In 2014, researchers in England released the results of a study of mammalian eyes. Among their findings included the revelation that cats are sensitive to and can perceive ultraviolet light. We’ve long known that cats use urine marking as a mode of communication, leaving messages for other cats about territory, sexual availability, and so forth. One implication of ultraviolet vision is that cats may be able not only to smell but also to see urine marking, in the same way that police forensics observe body fluids under blacklight. Might cat vision enable them to see other things that human eyes cannot? The cat brain is our next stop, specifically the pineal gland. Part of the endocrine system, responsible for hormone production and distribution, a cat’s pineal gland is located in the brain and helps to regulate circadian rhythms, such as patterns of being asleep and awake, through a hormone called melatonin. Changes in melatonin production are heavily influenced by the amount of available light in a 24-hour period. Despite being domesticated and adapting to the diurnal habits of human owners, cats are still primarily nocturnal creatures. Linking the pineal gland to spiritual matters is not unique to Descartes, of course. The concept of a “third eye” that permits access to realms beyond physical perception is a common one in a variety of mystical traditions around the world. In humans, it is a faculty that requires training and discipline to master. 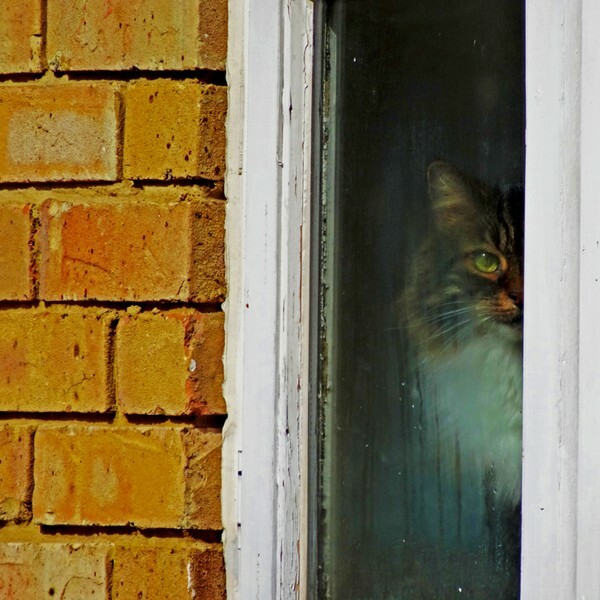 Might cats have a kind of innate ability to harness this otherworldly vision to see or commune with ghosts, demons, and other spirit beings as they prowl through our homes in the dead of night? Does biology allow cats to sense spirits? We’ve looked briefly at cat eyes and vision and at how melatonin production in the brain influences their nocturnal habits. Our next step is to try and draw these disparate strands together. Cats’ eyes are powerful instruments of perception. Cats’ brains and their pineal glands exert an influence over them when they are awake and on the prowl. Does a cat’s unique physiology make them more open to perceiving spectral creatures? The operations of the pineal gland may offer another clue. Melatonin production in the gland increases during the fall and winter, when there are fewer hours of available daylight. In spring and summer, because melatonin production is less necessary to support regulation of sleep cycles, the amount of hormone produced decreases. Coincidentally, for intact cats, lowered melanin production is also a trigger for estrus cycles; those periods when cats go into heat. When cats are spayed or neutered, of course, shifts in melatonin production cease to influence sexual activity. As a cat’s reproductive drive is curtailed when they are fixed, are other abilities conferred upon them as an unintended consequence? 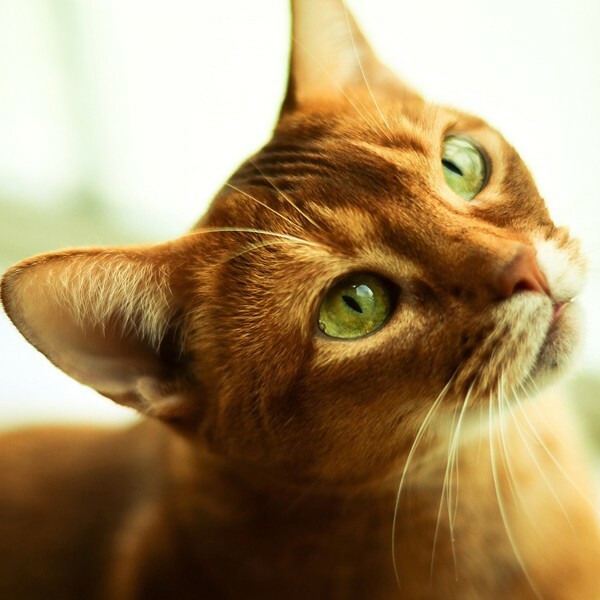 We know that cats experience vision and sight differently than humans do. We know that cats are active in the dead of night when their owners are sleeping. Is it possible that these circumstances, taken in combination, might permit cats to sense, see, or even communicate with the dead? These are all simply conjectures based on what we know about cats and how little we know about what lies beyond the realm of the living. Until we can actually experience the world through cat eyes, to see the world as they see it, there are no solid answers. Descartes believed that the pineal gland in the brain was the seat of the soul, but he did not believe that cats had souls. When it comes to the spirit realm, there are more interesting questions than just whether cats can see ghosts. For instance, do cat behavior patterns tell us anything about these ghosts and spirits, like whether they are benevolent or malevolent in nature or intent? There have been many stories related by people concerning supposed encounters between cats and ethereal beings. Some cats are seen to arch their backs and hiss; others are said to stare fixedly at a corner, wall, or ceiling for extended periods of time. Even people who are intrigued by otherworldly beings get scared at haunted houses, horror films, or even by being alone in the dark. Do cats’ unique biology, independent nature, and nocturnal comfort mean that they not only experience and perceive things that humans cannot but also respond differently to phenomena that regularly terrify us? Does hissing at nothing mean that a cat is scared or defensive? Does a blank stare mean that that they are hearing things that we cannot? Finally, let’s end with perhaps the best question of all. Instead of asking if cats can see ghosts, we should be asking, “Can ghosts see cats?” If so, are ghosts scared of cats? Does a cat’s very presence in our homes protect us and keep us safe from truths that we simply cannot handle? What do you think?